The original Digital Control (DC) system Shimano's Calais DC had one pre-programmed braking curve on the internal DC circuit board of the reel, and eight settings along this curve worked by increasing or decreasing the amount of braking force. This was an excellent "all-around" curve, ideal for most bass fishing and inshore applications. However, the original DC system was not ideal for skipping, pitching, and other applications requiring slow spool speeds. To address these slow-speed concerns, Shimano thoroughly analyzed casting mechanisms for various environmental and mechanical conditions. They divided these situations into four different modes and created four profiles to handle each situation. Each mode has 8 different brake-strength settings for 32 brake settings total. "There's no point in making this a long review, as TackleTour and other sites have that covered. I can, however, tell you firsthand, that this reel is absolutely phenomenal." ""If you're looking at this reel you probably only have one question, "Is it worth the money?". In short, yes. This is the smoothest baitcaster on the market. 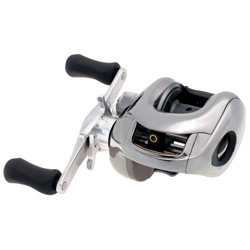 This reel responds to the smallest of adjustments and set up properly will outperform any reel in it's class." "To start with i have use a bait caster for many years, but because i fish only from the bank i wanted a reel for distance casting. so i spent the money and this is what happened." "Not worth the price great for casting in the wind with heavy line the reel cant ajust fast enough to cast a heavy spinnerbait"